Staffan Ofwerman was born in a suburb (called Täby) north of Stockholm, Sweden, 1962. He used to be a musician earlier in his life and toured with a couple of Swedish artists and bands. From 1988 until 1994 he was a member of the Roxette band and did some tours and recordings with them, including a worldwide tour called Joyride (travelling the world for a whole year). In this band he was playing percussion and 2nd keyboard and doing backing vocals. He also has had his own bands, where he usually is the lead singer. These bands were Stilmord (3 singles early 80s), The Breeze (5 singles early 90s) and lately Nattugglorna (a look-alike-show of a Swedish singer called Magnus Uggla). 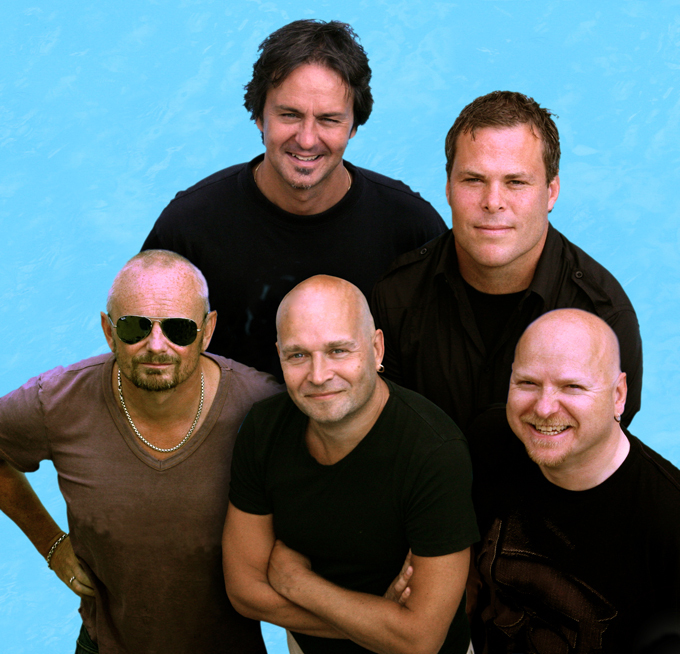 In august 2008 Staffan started up the old project, The Breeze, with new musicians and they are now rehearsing and writing new material to get the show on the road. 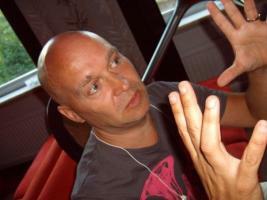 Now, read a special interview with Staffan, exclusively for Roxette.ro! 1. What’s your current occupation? After I played with Roxette, I felt that I had done a great tour and could probably never do something like that again (if I wasn’t the lead singer of course), so I decided to try another job and started working with final art in an advertising agency. I’ve been doing that since then, but I'm still in the music business in my spare time, with my own recording studio as a hobby. 2. How did you become a percussionist? Actually, I don’t consider myself a percussionist. I started out playing the drums back in school and did that for a couple of years, then I started as a lead singer with a band and also played some keyboards. So I guess I play a little bit of everything and not as good as many people out there, but I learn pretty quick. I guess my main instrument is my voice. That’s why people hire me most of the time. 3. When did you meet Per and Marie? I met both Per and Marie in the 80’s when I was touring with Efva Attling. But I didn’t meet them at the same time. Back than, I had a band together with Anders, Micke and Göran from Gyllene Tider and both Per and Marie were doing guest performances with us. I guess that’s when they wanted me to join the Roxette band. 4. Why did you stop recording and touring with Roxette? Well, I think the main reason is that they wanted to change the lineup of the band and my spot wasn’t included in that plan. They had two drummers (well, Mats Persson also played percussion of course) and also one extra guitar instead. I’m not sure it was a great solution, since I don’t think they sounded that fun on that tour. But of course the lineup I was in maybe wasn’t much better. I never saw myself from the audience, so I have no idea. But life goes on and this is the way the music business is. There are NO hard feelings whatsoever. They are all great guys. 5. Tell us about the Joyride tour, how was it? Some funny moments, as much as you remember. I have a plan to write some stuff about this in The Breeze Club soon. There will be some kind of backstage area where people can login to see more behind the scenes stuff from the band members of my band, The Breeze. So I will sit down and think about good memories from my years with Roxette, both Look Sharp tours, Joyride and MTV Unplugged. And I will also scan some of my private photos and put in The Breeze Club. 6. If Roxette will tour again, will you join? It would be fun for just a gig or two, but a whole tour? I don’t know. Depends on the rest of the band members. The people in the band are the most important. We had a great time during the Joyride, but it’s a long time on the road doing a tour like that for a year. 7. How does it feel like to record with Per? Per is a great guy and always happy. It’s usually Clarence who decides what to do and how to do it in the studio. At least it was when I was doing my stuff in the studio. Nowadays Christoffer is part of that as well and I haven’t worked with him so far. 8. Which Roxette album do you like more and why? Oh, guess that would be a greatest hits album. Otherwise they all have their ups and downs I guess. No favourite really. 9. Did their music had influences on yours? All music I’ve been working with does have influences on me. Some people say The Breeze sound a little like Roxette sometimes, but I can’t hear that, so I guess something is there deep in my heart. I just like good songs with a great pop chorus. 10. How would you describe Per? It’s been a long time since I was around them, but back then he was a funny guy. And usually very late for the tour bus (probably doing his hair). Nowadays we only talk when we meet at a party or something like that... and of course a couple of funny e-mails every now and then. 11. And Marie? I met Marie almost a year ago and also last summer. But before that I haven’t met her since her 40th birthday. But she is a very nice person. A great voice and a great person. 12. Are you still in contact with them? Only when we meet on a birthday party or concert or whatever. Otherwise I send all my friends crazy e-mails every now and then. Some Roxette people, both band and crew members are included in my e-mail list. 13. Is your brother Clarence involved in your current projects? No, Clarence is not involved in The Breeze project. He helped us out during a mix when we first started The Breeze in the 90’s. He was helping us mixing the 3rd single, "We take care". 14. Tell us more about future projects with “The Breeze” Well, we just started up again and have been online since august 2008. The new guys in the band are really, really great and funny. They love my new songs and also the old Breeze stuff, so we rehearse these days and plan to take our show on the road and hopefully we can play outside Sweden if people want us there. I get a lot of e-mails from people who really like our music, so I hope the clubs in the world will listen to them as well. So if fans who read this have any clubs that would work for a band like The Breeze, just let us know. Or tell the club owner about us. www.thebreeze.se We also have a little secret project, that I can’t talk about yet. But if it will happen it will be something great. So sign up to our club if you want to be the first to know. 15. What were the volume sales for your projects? I don’t know what we sold back then. We haven’t released any new material so far. In the 90’s we only released 5 singles. We never felt like an album band, so we tried to get air play instead and had some Top 10 singles on different radio stations. We also released one of our singles in a couple of countries in Europe and it did a little better than it did in Sweden I guess. 16. What have you been doing between the albums? I have an ordinary job. So I spend most of my time in front of a computer doing advertising and web sites for people. 17. 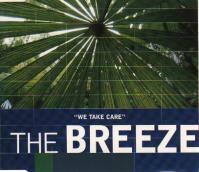 Where did the name Breeze come from? The first single we recorded was written by Woodgrove, who wanted me to do lead vocals on his song. 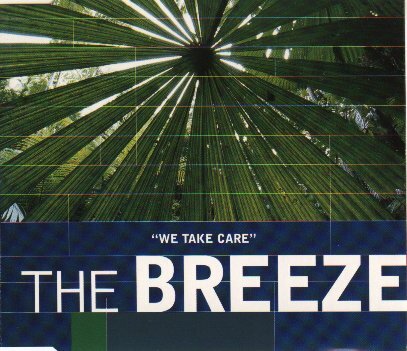 So we decided to release it under a band name and I came up with The Breeze, since it had something to do with summer (in my opinion at least). I was touring with Roxette at the time, but we continued to work together and write songs. Since a couple of years, Woodgrove has been living in a different part of Sweden and felt he didn’t have the time to join us when I started up the band again. But he is a great guy and one of my best friends. 18. What are your hobbies? My hobbies are Mac computers, doing web sites and stuff like that and of course my home recording studio and my music projects. 19. Do you have children? Do they follow the music path? I have two kids, grown up now. My daughter Jackie owns a dance school together with a friend. So, she is a great dancer (I’m not). She did backing vocals on a song on The world according to Gessle and also in the choir on the Roxette song Stars. She is born 1986. My son, Hampus was born 1989 and he is living in a separate part of my house, where he has 2 rooms and a kitchen and his own entrance. He is playing the guitar and is writing a lot of songs with a friend. He is also playing guitar on three songs in one of my bands I have. My wife has her own son, Adam, who is born 1996. He is living with us most of the time, except for some weekends when he is with his father. 20. Any comments about the other members of the band “The Breeze”? Any introduction? The drummer, Isak, is a friend of mine since the mid 90’s and he is a great pop drummer. He used to be in a very popular show band called Highway Stars. The bass player, Sonny, used to be in a pretty famous pop band from the 80’s called Hansa Band. The keyboard player, Robert, has been working like me, behind a lot of Swedish artists, and he’s also been touring a lot and even in many countries around the world. And then the guitarist, Per, is someone I met through a friend two years ago and he called me all the time to try to find something we could do together and finally we did. All the band members are really, really great people. I don’t think I have ever been working with such a great constellation before. So I hope we can get this show on the road soon to make people have as much fun as we do.